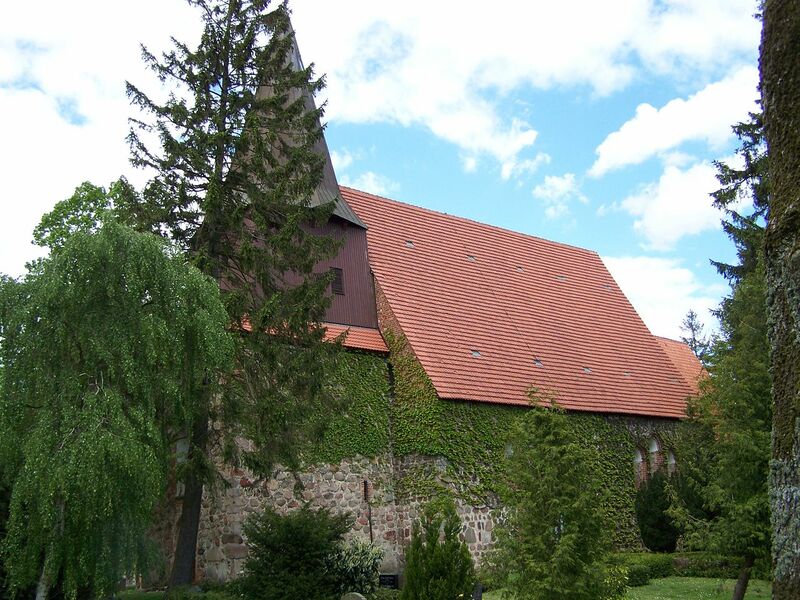 “Kirche in Kirche Baggendorf,” 2009, Kirche Baggendorf (near Wendisch Baggendorf), Mecklenburg-Vorpommern, Germany; Wikimedia Commons, copyright Klugschnacker. 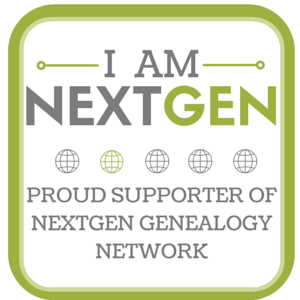 I might not have noted the connection between the Wieses who left Hamburg for New York one day apart if it were not for spotting several interesting member matches within the AncestryDNA results for my grandmother, the great-granddaughter of Joachim Wiese. Each of these matches named Caroline Wiese as a direct ancestor, which led me to the ship manifest that revealed that Caroline had traveled with a Johann Wiese of an appropriate age to be her father; appropriate, too, that a father would accompany his yet-unmarried daughter overseas. Caroline, as stated, married shortly after her arrival in America; she and Gustav Beth were wed on 10 January 1869 in Dundee, Kane County, Illinois.7 Carl and Joachim Wiese, on the other hand, both settled in Chicago’s 15th Ward with their families.8 While Johann Wiese has not been located in the 1870 or 1880 censuses, and does not appear in the households of Caroline, Carl, or Joachim, it is possible he was simply not counted in the census if, for example, he was en route to the home of another child and was missed by the census enumerator, or if a neighbor provided information about the family to the census enumerator and failed to mention him. Cook County, Illinois, death certificate no. 28339, John Wiese; Cook County Clerk, Chicago. According to his death record, he died on 02 August 1883 at 144 Newton Street in Chicago at the age of eighty.11 His death was attributed to old age.12 Intriguingly, Carl Wiese resided at this address, further strengthening the potential of a connection beyond their shared Wendisch Baggendorf origins and their emigration one day apart.13 It seems logical to assume that Johann Wiese might have been cared for in his last days by his son. 1 “Hamburg Passagierlisten, 1850-1934,” digital images, Ancestry.com (http://www.ancestry.com : accessed 25 November 2017), manifest, Borussia, Hamburg to New York, leaving 31 October 1868, Johann Wiese; citing Bestand [inventory no.] 373-7I, VIII, A1 (Auswanderungsamt I [Emigration List – Indirect]), Band [vol.] 022; Staatsarchiv Hamburg microfilm series K1701-K2008, S17363- S17383, and 13116-13183. 2 “Hamburg Passagierlisten, 1850-1934,” digital images, Ancestry.com (http://www.ancestry.com : accessed 25 November 2017), manifest, Borussia, Hamburg to New York, leaving 31 October 1868, Caroline Wiese and August Bech; citing Bestand [inventory no.] 373-7I, VIII, A1 (Auswanderungsamt I [Emigration List – Indirect]), Band [vol.] 022; Staatsarchiv Hamburg microfilm series K1701-K2008, S17363- S17383, and 13116-13183. 3 “Hamburg Passagierlisten, 1850-1934,” digital images, Ancestry.com (http://www.ancestry.com : accessed 25 November 2017), manifest, Borussia, Hamburg to New York, leaving 31 October 1868, Johann Wiese, Caroline Wiese, and August Bech. 4 “Hamburg Passagierlisten, 1850-1934,” digital images, Ancestry.com (http://www.ancestry.com : accessed 13 July 2014), manifest, Electric, Hamburg to New York, leaving 1 November 1868, Carl Wiese and Joachim Wiese; citing Bestand [inventory no.] 373-7I, VIII, A1 (Auswanderungsamt I [Emigration List – Indirect]), Band [vol.] 022; Staatsarchiv Hamburg microfilm series K1701-K2008, S13116-S13183, and S17363-S17383. 5 “Hamburg Passagierlisten, 1850-1934,” digital images, Ancestry.com, manifest, Electric, Hamburg to New York, leaving 1 November 1868, Carl Wiese and Joachim Wiese. 6 “Hamburg Passagierlisten, 1850-1934,” digital images, Ancestry.com, manifest, Electric, Hamburg to New York, leaving 1 November 1868, Carl Wiese and Joachim Wiese. 7 “Illinois, County Marriages, 1810-1940,” database, FamilySearch (https://familysearch.org/ark:/61903/1:1:KF23-21Q : 25 November 2017), Gustav Beth and Caroline Wieze [Wiese], 10 Jan 1869; citing Kane, Illinois, county office. 8 1870 U.S. census, Kane County, Illinois, population schedule, Rutland, sheet 753A, p. 18 (penned), dwelling 117, family 120, Carrie Badt [Beth]; digital image, Ancestry.com (http://www.ancestry.com : accessed 25 November 2017), citing National Archives microfilm publication M593, roll 237, and 1870 U.S. census, Cook County, Illinois, population schedule, Chicago Ward 15, sheet 753A, p. 315 (penned), dwelling 2090, family 3176, Carl Wise [Wiese]; digital image, Ancestry.com (http://www.ancestry.com : accessed 25 November 2017), citing National Archives microfilm publication M593, roll 208, and 1870 U.S. census, Cook County, Illinois, population schedule, Chicago Ward 15, sheet 753A, p. 315 (penned), dwelling 1903, family 2873, Jachim Veis [Wiese]; digital image, Ancestry.com (http://www.ancestry.com : accessed 27 November 2017), citing National Archives microfilm publication M593, roll 208. 9 Cook County, Illinois, death certificate no. 28339, John Wiese; Cook County Clerk, Chicago. 10 Christiane Harzig, Peasant Maids, City Women: From the European Countryside to Urban America (Ithaca, New York: Cornell University Press, 1997), 30. 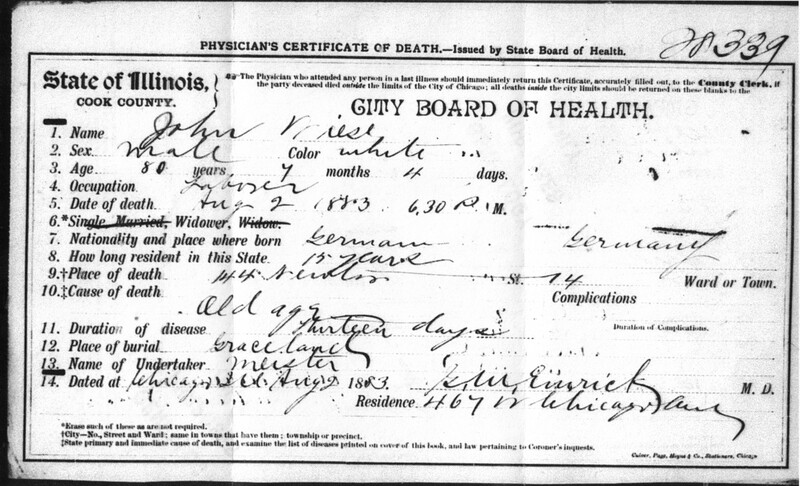 11 Cook Co., Ill., death certificate no. 28339, John Wiese. 12 Cook Co., Ill., death certificate no. 28339, John Wiese. 13 1880 U.S. census, Cook County, Illinois, population schedule, Chicago, Enumeration District (ED) 144, p. 38 (penned), dwelling 243, family 403, Charles Wiese; digital image, Ancestry.com (http://www.ancestry.com : accessed 25 November 2017), citing National Archives microfilm publication T9, roll 196. 14 Jennifer Cervantes to Melanie Frick, e-mail, 13 September 2017, “Grave Location Request,” Personal Correspondence, Wiese Family, Frick Research Files; privately held by Frick. Johann Wiese is buried in Block 11, Grave 234. 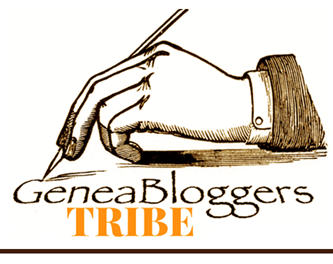 This entry was posted in Uncategorized and tagged 1860s, 1880s, Chicago, DNA, family history, genealogy, genetic genealogy, Germany, Illinois, immigrants, Pomerania on November 28, 2017 by Melanie Frick.